The scope of Alistair’s work has been rich and varied, ranging from large-scale corporate campaigns to international consumer goods brands, but he has always believed in a simple doctrine: Ideas are the world’s most valuable currency—when communicated well. 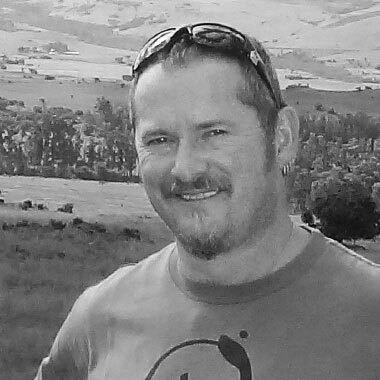 Born in Scotland, raised in South Africa, Alistair has worked as a Copywriter and Creative Director for over 25 years. He has contributed to many national and international initiatives for leading agencies such as Metropolitan Republic, the Firehouse Group, Draftfcb and BrandSmart. His broad agency experience (from start-ups to multi-nationals) has seen him flourish as an emerging markets authority with extensive work in Nigeria, Ghana and Uganda and his native South Africa. The scope of his work ranges from above, below and through the line to, occasionally, between the lines. As CD at BrandSmart – initially founded as a strategic consultancy – Alistair led numerous strategic brand initiatives, taking responsibility for the overall quality and strategic relevance of the agency’s creative products. Working intimately with clients and our team, Alistair oversees every aspect of the written content from strategy to implementation, to ensure that Brandfibre’s solutions are engaging, original, and strategically sound. By joining Brandfibre, Al is expanding his sphere of influence online, passionately pursuing creative communications from his home base in Johannesburg, SA.